After all she's been through, Rune Alexander thinks she can handle anything that may be thrown at her. But when a mysterious rotting disease begins to spread through the River County Others, she has to gear up once again for trouble like she's never seen. Trouble that may force her to leave her world where she is a powerful and deadly Other, supported by those who love her. Trouble that may carry her into the witch's unfamiliar and hostile world where Damascus holds the power. Rune will do anything she has to do to keep from facing the horrifying witch. If she travels into Damascus's world, she may never find her way back. But Rune is Other. Lex is Other. And neither one of them is immune to a disease that could kill Lex and cause Rune to rot away until she's reduced to one of her biggest fears. A brain in a jar. In book 6 of the Rune Alexander series, Rune must accept the fact that things are about to change. And in the end, Rune may be pulled into a whole new world by the distant, forgotten echoes of Wormwood. 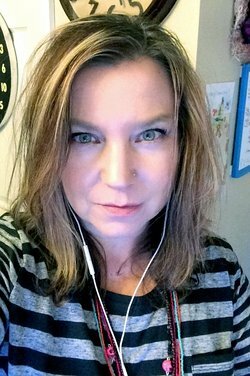 Laken Cane is an urban fantasy writer living in Southern Ohio. She writes dark urban fantasy. Shiv Crew is her debut book, followed by Blood and Bite, Strange Trouble, Obsidian Wings, New Regime, and the Rune Alexander short, Shadows Past. She is currently working on book six in the Rune Alexander series. She also has a very active fan club at https://www.facebook.com/groups/shivcrew/ and an amazing street team athttps://www.facebook.com/groups/LakensCaneStreetTeam/ New members are welcome. 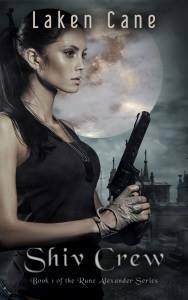 Rune Alexander wants to get through her days doing her job, which is protecting the humans against the myriad of supernatural creatures, known as Others, who exist uneasily in a human's world. But she is unstable and damaged. She realizes how broken she is even as she continues to submit to the unspeakable things her lover does to her, craving desperately the strange peace she finds in the aftermath. When she discovers things are not as they seem and a faceless human is torturing the supernatural groups in her city, she and her crew must break the rules and begin to protect the Others from the humans. But as the darkness inside her becomes stronger and she ends up on the wrong side of a battle she must not lose, who will save Rune from herself? Rune and the crew--some of them a little healthier, some of them a little more battered--take on new monsters and unbelievable surprises in Blood and Bite. While Rune is keeping her promise to Ellis and trying to get her mind fixed, the berserker goes away to take care of some business--mysterious business he doesn't share with Shiv Crew. What he brings back with him knocks the wind out of Rune and makes her question everything she thought she knew about Strad Matheson. But the worst is yet to come. With a mad vampire master she must destroy, a child she must save, and unimaginable screams from a past she has to ignore, Rune has her hands full. But there is always something new and terrible waiting in River County--waiting, it seems, just for her. 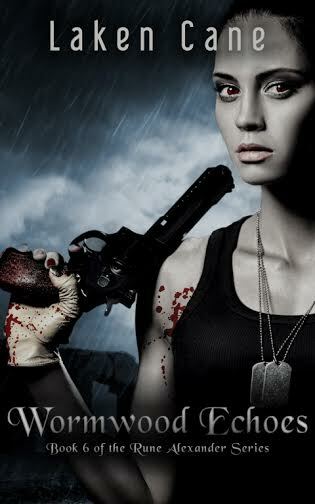 Because just when she thinks she can't possibly handle one more terrible thing, she discovers a shocking truth about herself, her blood, and her bite. When she gets a whiff of the shifters' scents where COS had been executing a gruesome sacrifice, Rune begins to suspect the birds know more about the slayers--and the twins--than they're willing to admit. Nothing is more important to Shiv Crew than finding Levi and Denim, but when Lex psychically connects with the twins, it isn't good news she brings back. As always, COS is at the center of it all. The world is beginning to look at the church differently, thanks to the tireless work of Bill Rice and others like him. The humans' acceptance is turning to fear. And what people fear, they hate. But they slayers aren't finished, and what they're planning next will either finish them for good or give them everything they've ever wanted--Karin Love and unchallenged power. Rune and the crew race against time to save River County from the biggest monster they've faced yet. If they fail, the church will be closer than ever to their dream of creating an Otherless world. In Obsidian Wings, Rune hides a devastating physical weakness, makes an important choice in her love life, and gains a new understanding that will help her face the future. No matter what happens, their world is changing. The crew is growing. And so is Rune Alexander. Rune and her people have been taken under the mysterious wing of the Annex, an agency that works toward Other equality. But with the new regime comes changes and some monstrous enemies the Annex seems to have brought with it. The crew finds themselves up against a group called the Shop, whose leader cares only about his lab and the monsters he creates there. But he hasn't been able to build monsters he can use or sell...until now. Now Rune must follow a path of horror that leads from a little werefox named Megan to a town full of evil in Reverence, Kentucky, and find a way to defeat something worse than blades or guns or bombs. Magic. She can't use her claws on magic. Can she? 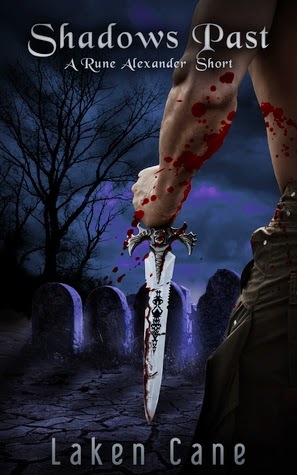 In book five of the Rune Alexander series, Rune must deal with not only the monsters, but the escalating tension between the berserker and Owen, flashbacks from the COS attack, and the fear that she's losing Levi to the chasm of darkness started by Karin Love and deepened by the slayers. She and her crew will fight with everything they've got to defeat the evil, even if some of that darkness lives inside each one of them. Because they're Shiv Crew, and that is what they do. Shadows Past, book 5.5 of the Rune Alexander series. A Rune Alexander SHORT story. Glimpse a night in Shiv Crew's past before the twins and Lex entered the picture, before Owen got under Rune's skin, and before the berserker gave her his heart. This is a short story of the original Shiv Crew. I'm a lefty. I'm a pretty terrible driver--possibly because I get lost in daydreams and stories and forget I'm driving. I'm very short. Rune and the crew race against time to save River County from the biggest monster they've faced yet. If they fail, the church will be closer than ever to their dream of creating an Otherless world. No matter what happens, their world is changing. And so is Rune Alexander. But with the new regime comes changes and some monstrous enemies the Annex seems to have brought with it. The crew finds themselves up against a group called the Shop, whose leader cares only about his lab and the monsters he creates there. But he hasn't been able to build monsters he can use or sell...until now. Now Rune must follow a path of horror that leads from a little werefox named Megan to a town full of evil in Reverence, Kentucky, and find a way to defeat something worse than blades or guns or bombs. In book five of the Rune Alexander series, Rune must deal with not only the monsters, but the escalating tension between the berserker and Owen, flashbacks from the COS attack, and the fear that she's losing Levi to the chasm of darkness started by Karin Love and deepened by the slayers. She and her crew will fight with everything they've got to defeat the evil, even if some of that darkness lives inside each one of them. Because they're Shiv Crew, and that is what they do. Expected publication: October 18th 2014.